Wright was the first, and continues to be the most advanced, stand-on mowing technology available. 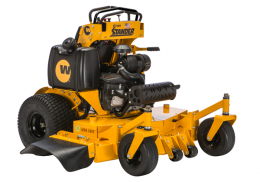 The entire line of Standers, as well as Wright’s traditional mowers, deliver productivity, quality and reliability that is second to none. 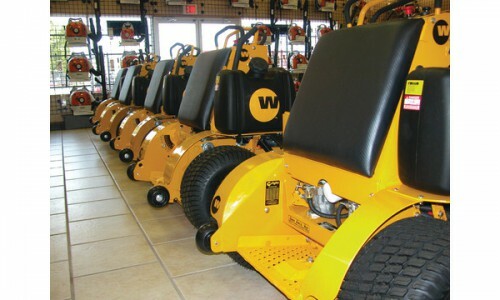 Excellence is their promise to you, and is built into every Wright mower. Stand-on mowers are continuing to gain popularity with landscaping companies. Bill Wright, president of Wright Manufacturing, offers his thoughts in this article at greenindustrypros.com. When we talk to lawn care business owners, we hear one thing over and over again: There’s almost never enough time in the day. If you own a lawn service, you know how it goes. Even if you get all the yard mowing work done for the week, there’s still maintenance, billing, payroll…the list goes on and on. And then there’s the winter. It’s the one season where there’s actually too much time and not enough work. That means you can’t afford to waste any time during those crucial summer and spring months. That’s why efficiency and time management are crucial for any successful lawn care business. And that’s why Wright commercial mowers are built to help your lawn service be more productive.